Can I combine a blackout blind with other blinds? Yes, the blackout blind can also be combined with awning blinds for additional heat protection and insect screens for an insect free environment. However, please note that you cannot combine electrically operated and solar powered blinds. Is a blackout blind the right solution for my room and needs? Blackout blinds are made of a lightproof fabric that effectively blocks out incoming light. They can help to ensure a good night's sleep or a restful nap during the day and are recommended for bedrooms and children's rooms. They are also perfect for home cinemas and guest rooms. 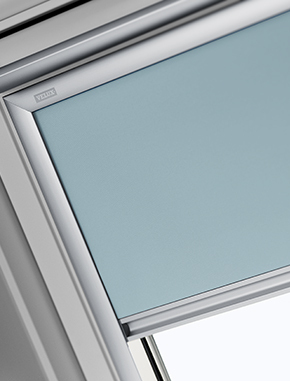 What is the most significant difference between Itzala and VELUX blackout blinds? 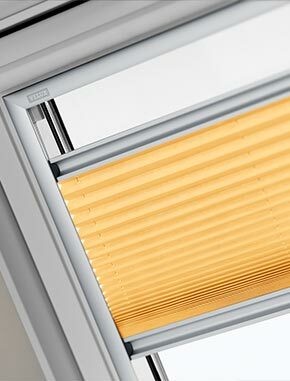 VELUX blackout blinds are top quality blinds that offer 100% blackout – night or day, as well as effective heat protection. 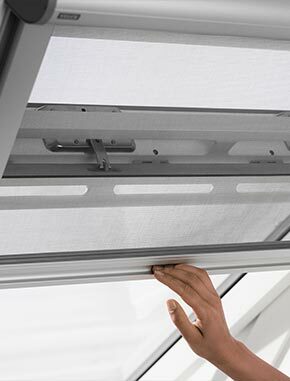 VELUX blackout blinds are made from a dirt-resistant polyester with a special aluminium coating on the back, that helps retain heat in the winter and reflect solar heat in the summer. They comes in a wide range of colours with or without patterns, and you can choose between a manual or remote control operated edition. 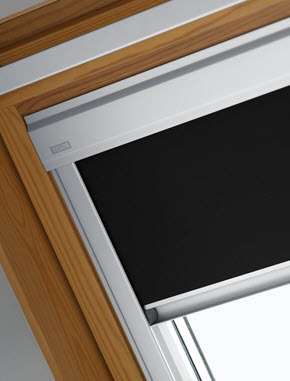 The blind runs in slim top and side channels in aluminium and can be positioned anywhere in the window. The side channels are painted black on the inside to prevent light from passing in around the edges. 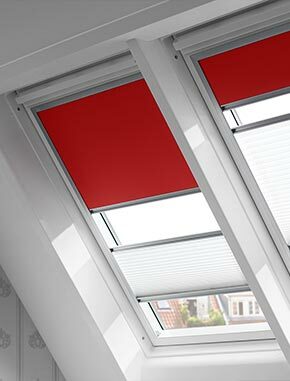 The VELUX blackout blinds purchased through the VELUX online shop have a three-year guarantee. Itzala blackout blinds are quality blinds that can be offered at a lower price as they are manufactured in bulk. They offer almost complete darkness and are very easy to use. 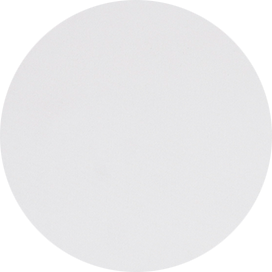 The fabric is a hardwearing, dirt-resistant combination of polyester and lightproof rubber. 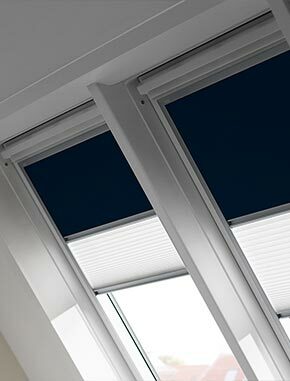 Itzala blinds come in three different colours. 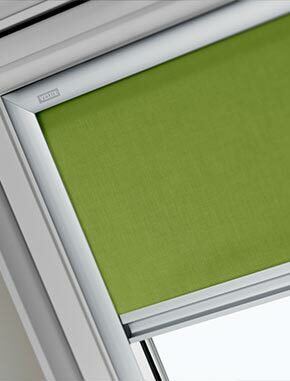 The blind fits into and slides in a slim aluminium frame that allows multi-positioning of the blind. Itzala blackout blinds purchased through the VELUX online shop have a two-year guarantee. Which blind should I choose if I have an out of reach window? 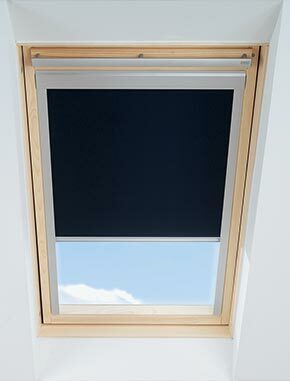 If you have an out of reach window we recommend you choosing a VELUX blind. 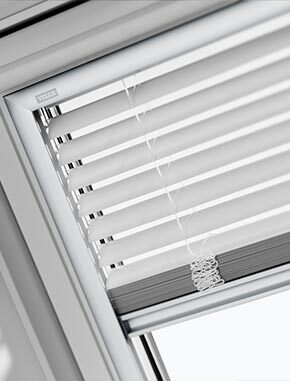 Note that Itzala blinds are not compatible with the extension pole for blind control - VELUX Rod (ZCT 200k). Is my window compatible with Itzala blackout budget blinds? 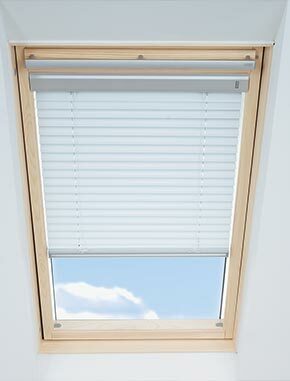 Itzala blackout budget blinds are compatible with VELUX old generation roof windows only. 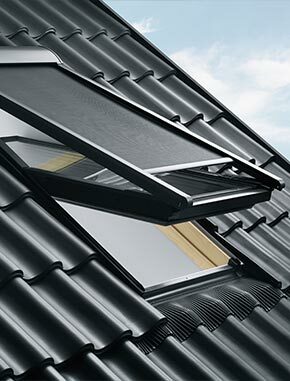 The old generation refers to roof windows produced before February 2014. Itzala blackout budget blinds are compatible with the following old generation size codes: CO2, CO4, FO6, MO4, MO6, MO8, SO6, SO8, UO4, UO8. Please note that the new generation size codes include the letter "K" (e.g: CKO4, FKO6) and are NOT compatible with Itzala blackout budget blinds. To adjust the height of a manually operated Itzala blackout blind simply place your hand on the control bar at the bottom of the blind and raise or lower as you please. 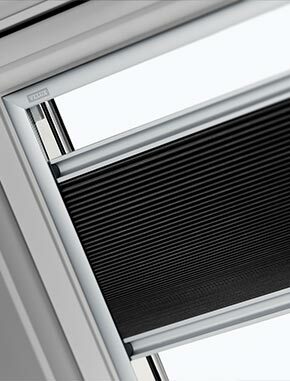 Itzala roller, blackout and venetian blinds are available for VELUX, FAKRO, RoofLITE, Dakstra, Keylite roof windows (for Keylite size finder please click here), whereas Itzala awning blinds are available for VELUX roof windows only. 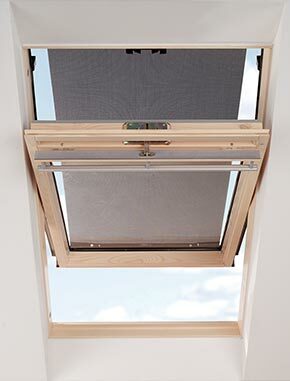 If you wish to know whether the chosen Itzala blind is available for your roof window, please run through the steps below. Please note that there is no Rod available for Itzala blinds. 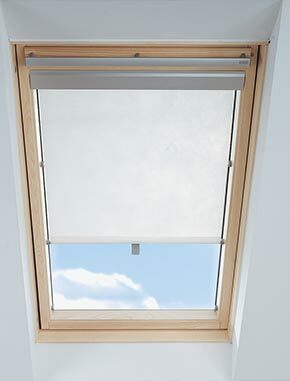 In case the window is out of reach, genuine VELUX blinds with VELUX Rod (ZCT 200K) are recommended. Available Itzala blind colours: Blackout: 4208 white, 4219 light beige, 4212 dark blue; Roller: 4312 dark blue, 4319 light beige; Venetian: 4388 white. Currently trying to find a blind that will fit your window. Please wait.